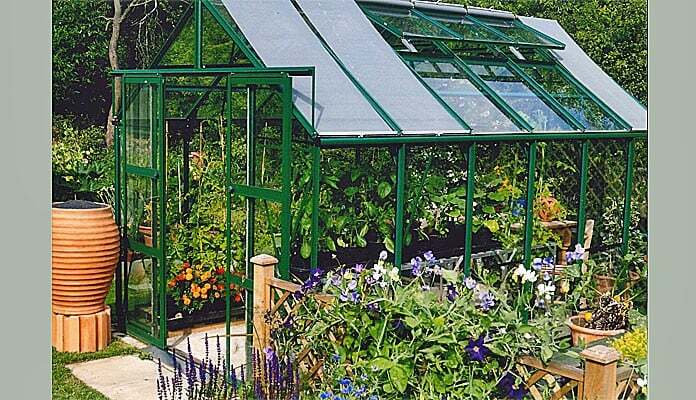 The Harrod Superior Greenhouse design is elegant, strong and full of features such as integral roof blinds and vast amounts of ventilation to provide the best growing environment of any greenhouse available today. 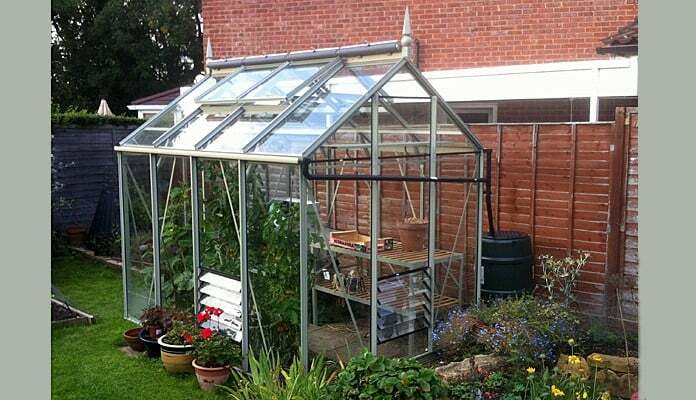 "The greenhouse was delivered quicker than had been stated and the installer was terrific. My wife loves the automatic opening windows as well as the protective blinds. She grew tomatoes, peppers and chilli peppers as well as plants for hanging baskets last year and plans even more this year. It's size 6 x 8 foot is perfect for our size back garden." 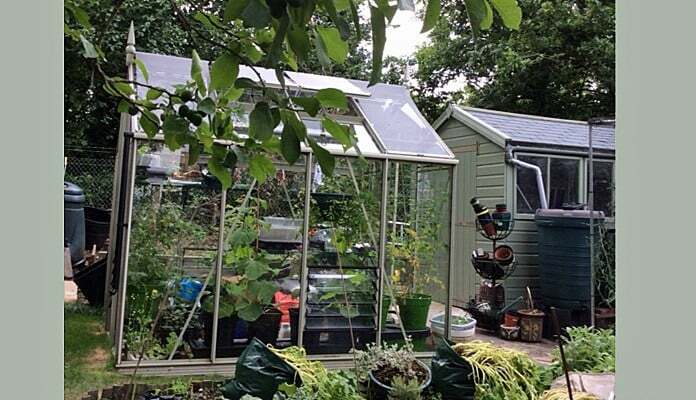 "I am very pleased with my greenhouse. It survived the winter unscathed - no mean feat on top of a hill in Snowdonia! The automatic roof vents are a marvellous idea as are the roof blinds. My only small criticism is that the louvre vents are a little difficult to get at if you have low level staging as I do and I have had trouble with two of them being very stiff to open and close. However I have to say Harrod Horticultural were very helpful and prompt about replacing one of them. 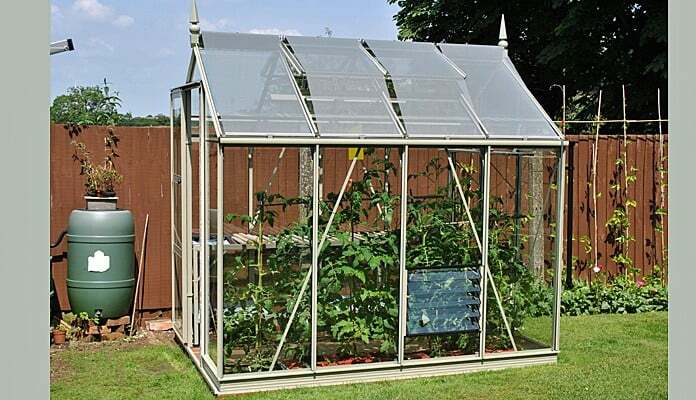 As my greenhouse was not installed until very late last summer this will be my first full year of use and I am looking forward to a successful growing season." windy clifftop location has thrown at it through the winter. It's the best thing I've bought for many years." "We have been very happy with this product, it came well packed, with clear instructions for construction and is very pleasing to look at." 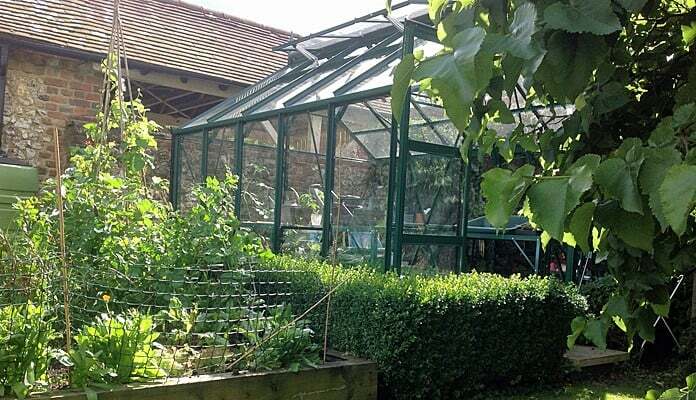 "Here is a picture of our glasshouse in situ. Still some work to do ‘bedding it in’, but we’re very pleased. 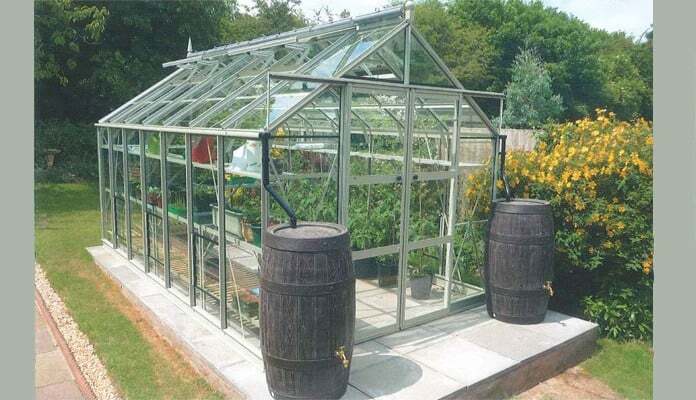 It is ideal for a small garden like ours as it looks attractive as well as being extremely useful for growing plants. 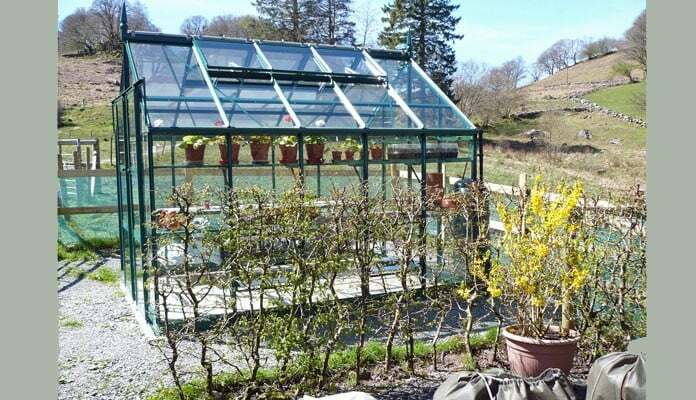 The plants in the new borders around have been mainly grown from seed in the greenhouse." 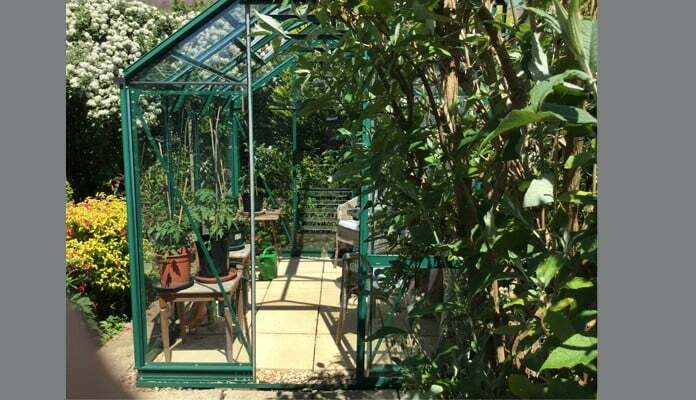 "The greenhouse makes the "working" area of our garden which also houses a harrod's fruit cage look more smart." 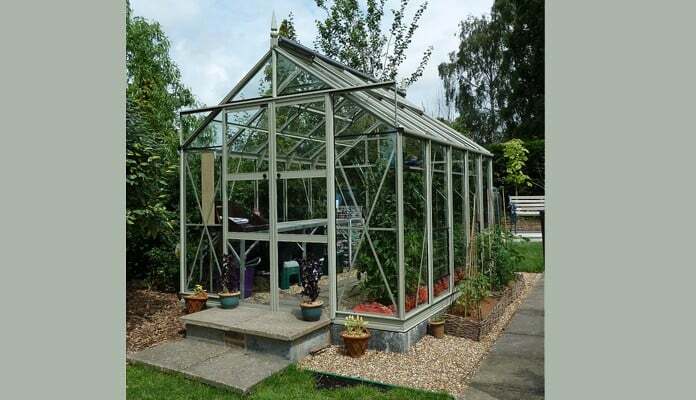 "I am very pleased with my greenhouse, the fitters were excellent. It has now been through two summers and one winter no problems. I would say that your product is more expensive than most but if you want the BEST you have to pay for quality." 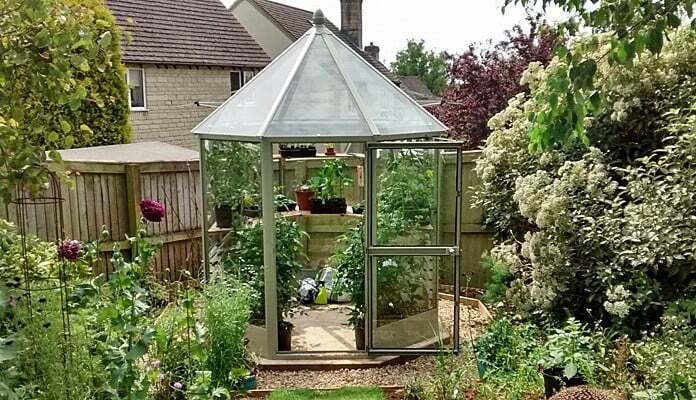 "Very pleased with the greenhouse."